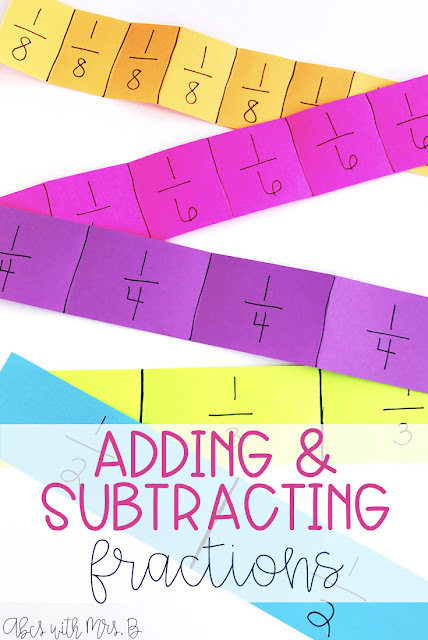 Alright, so let's talk adding and subtracting fractions! 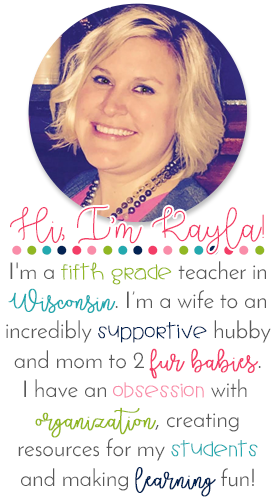 It can get really difficult, so here is a quick way I give students a conceptual understanding of the concept! 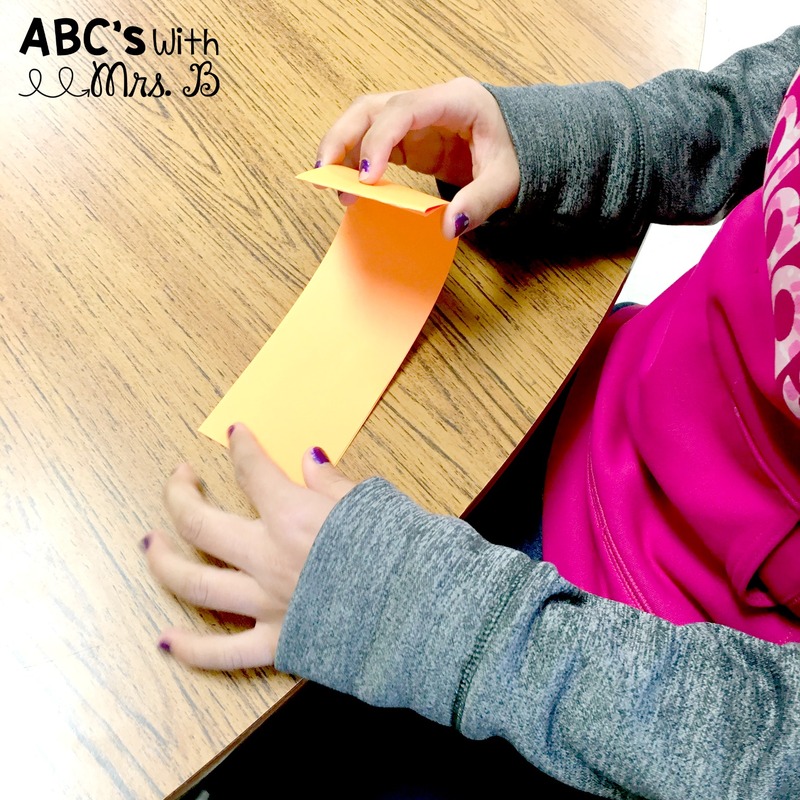 First, I gave each student 5 strips of paper - multiple colors to make it more fun, but all the same size. Then I let them work with the strips to create equal parts. We started with 1/2, 1/4/, 1/8, 1/3, 1/6 - all in that order. Through this, students practice how to break apart a whole. 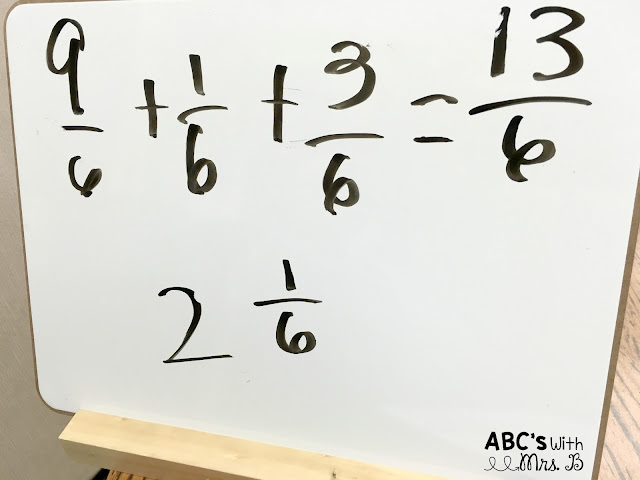 The thirds and sixths can get tricky and it really challenges some of them! We partitioned the strips and labeled the parts. This gave students more of an understanding of taking the whole and partitioning it into parts. 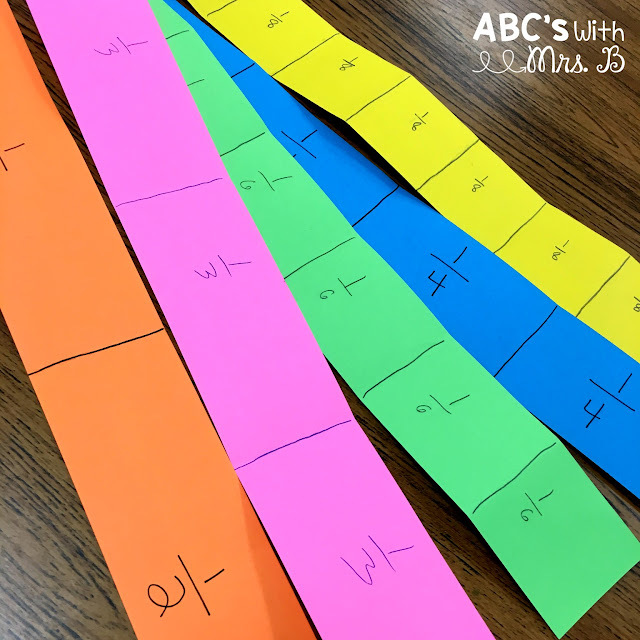 Next, we started working with addition problems using the strips to help us along the way! I would give them an addition problem: 9/6 + 3/6 + 1/6. My students would grab their sixth strips since that is the common denominator. Students would them count out 13 parts of the sixths. There were 5 unused, so we covered those up with red markers. After seeing the answer represented by the strips, they were able to give their mixed number answer by seeing the 2 wholes and 1/6 left! This strategy can easily be used for subtracting fractions as well! 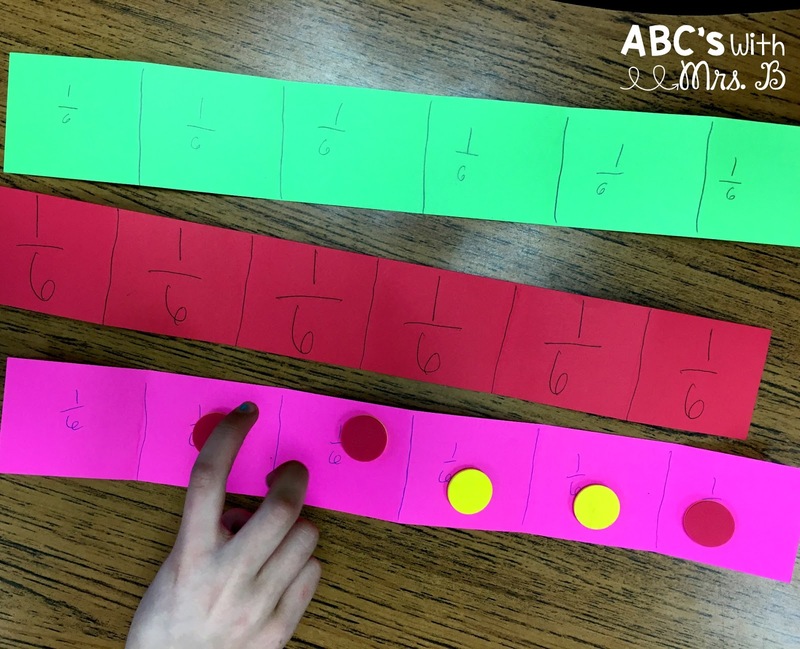 Several students can easily follow a procedure for this concept, but I think giving students the hands-on materials that they made really help solidify their thinking. What ways do you teach adding and subtracting fractions?